Friday afternoon I received a call asking me to provide treats for this Sunday's coffee hour at my local Methodist Church. 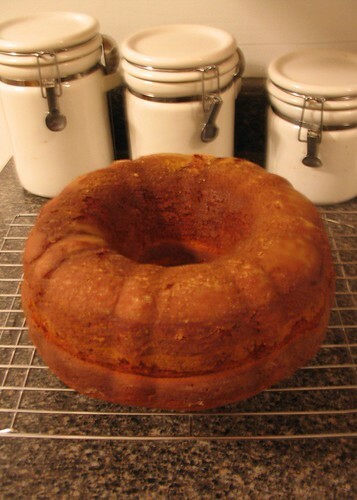 Now I'm not actually a Methodist, but I never turn down an excuse to bake, so naturally upon acceptance my first thought of what to make for the Methodists was "booze cake," specifically Sherry Nut Bundt Cake, henceforth known as SNBC. 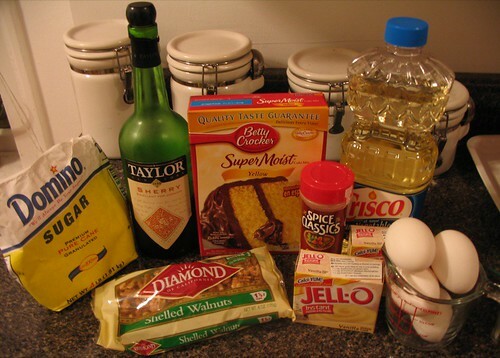 My mother is a complete teetotaler and as a result there the only alcohol that ever made it into my mother's house was an occasional and random light beer that came home with my dad after a night out with some college friends and the cooking sherry for this cake. The SNBC is a hand me-down from my Grandmother Leota and is a classic 50's recipe. 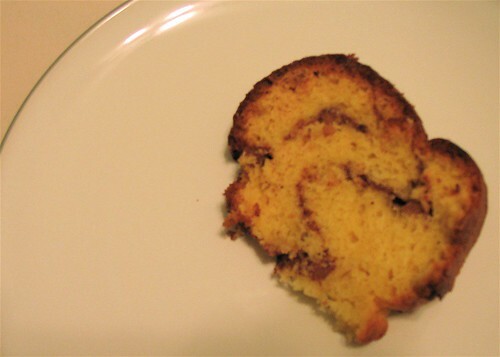 The base of this almost-coffee cake/ rather bread like dessert is yellow cake mix and Jello pudding in a Bundt® Pan. If that doesn't scream post-war packaged food frenzy I don't know what does. Preheat oven to 350°F. Grease and flour a Bundt® pan. Mix first five ingredients, adding oil last. 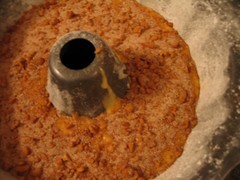 In a separate bowl - mix sugar, cinnnamon and nuts together. Pour about ¼ of the batter in the pan and sprinkle half of the nut mixture over the batter (I find this is easier to do uniformly if you use a spoon and not your fingers). 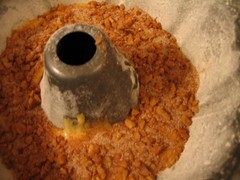 Top with 1/2 of the remaining batter and the remaining nut mixture. 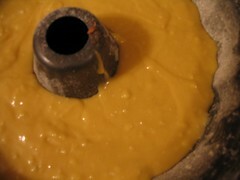 Add the remainder of the batter. Bake for 45-55 minutes or until a tester (I like to use a piece of spaghetti) comes out clean. Allow to cool before inverting. No need to frost, just give to your favorite Methodist as is and enjoy!